I’d been considering it and debating it for months, and now the deed is done. Many people have asked me why I would do it and “allow the liberals to win.” I don’t see leaving Facebook as allowing the liberals to win. I see it as a win for me and everyone else who decides to break things off with an out-of-control, privacy-invading, censoring, Leftist tech giant. Not only have we learned that the data consulting firm Cambridge Analytica was able to access information of up to 87 million Facebook users without their permission, but now Facebook is facing a lawsuit for storing facial-recognition without user consent. As disturbing as that is, it bothers me even more to see how Facebook blocks posts, censors content and even shuts down the pages of Christians and conservatives, using criteria that is not similarly employed against users whose ideology aligns with that of the Left. 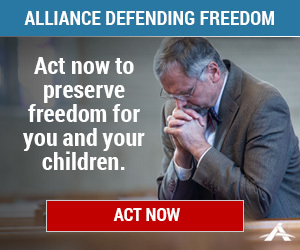 I’ve covered the stories of a lot of fellow Christians and conservatives who’ve been banned or blocked by Facebook, but I only had one such run-in on my show page. Why did I say that? Isn’t it obvious? Marriage is only between a man and a woman, always and forever. That is the institution God created as a picture of Christ’s relationship with His church, and it is the only union through which families can be biologically created. It isn’t an attack. It wasn’t meant as an attack. But you can’t win in Progressive Facebook World if you dare to dissent from sexual radicalism. For me, that was the beginning of the end. Everything that was revealed about Facebook later was merely icing on the cake. I respect everyone who told me that leaving Facebook just emboldens the Left. There is a rationale to that, and maybe those people are right. But here’s my perspective. Yes, we can fight all day with Facebook about free speech, and I hope the recent congressional hearings will help with that. But the way I see it, there’s no point fighting with these Zuckerberg people. They’re progressive totalitarians, and they’re going to run their website the way they want to run it. I know people in the public eye tend to hyperventilate at the very thought of “losing followers” on any social media platform, but I really don’t want to be one of those people. I have two daily national radio shows, and I write on Twitter, Gab and (now increasingly) my website. Does anyone really need any more access to me than that? I’m not into the whole “platform” or “branding” thing, anyway. And honestly, how absurd is it for us to complain about Facebook censorship and then continue to keep putting ourselves under its digital thumb? Who’s truly free in that position? Not the kowtowing user, fretting over whether a stray comment, like homosexuality being sinful, will get a post blocked or begging Facebook to reinstate posts or accounts. Facebook is always the winner in those scenarios, no doubt laughing at the poor souls whose content is always theirs to compromise, alter or delete on a whim. Maybe if enough of us left, Facebook would stop doing what it does. Or if more than enough of us left, maybe Facebook would go out of business, giving a more reasonable company a chance to create a next-generation replacement that truly allows free speech. 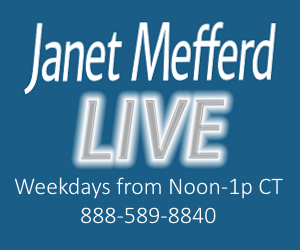 Until then, I hope you’ll continue to tune in to “Janet Mefferd Today” and “Janet Mefferd Live” on your local Christian radio station, or connect with me on Twitter and Gab. I’ll also be posting here on my website with greater regularity, something I now have more time to do in the wake of deleting Facebook. Just remember, we don’t need Facebook. They need us.